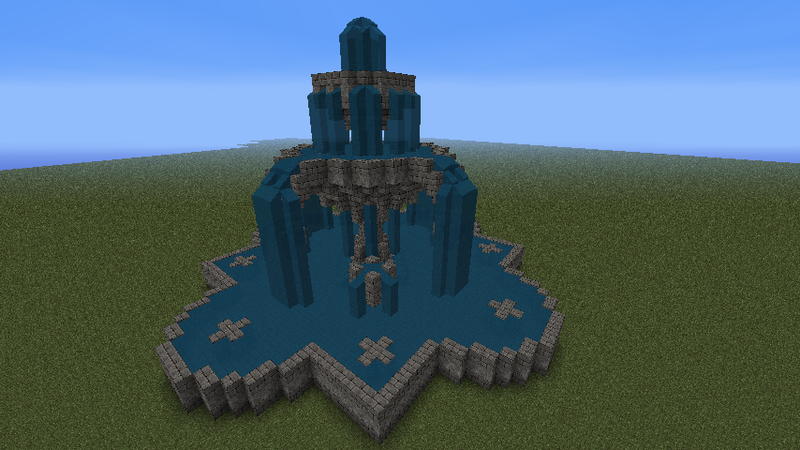 I really like making fountains. 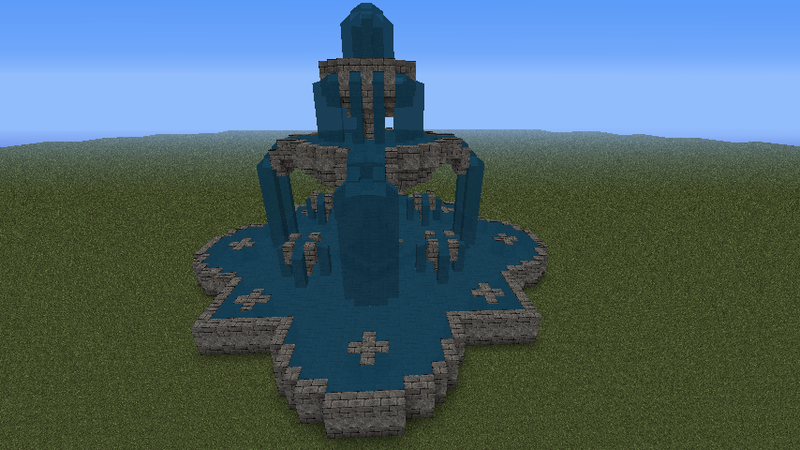 So I took a stab at making a really big decorative one. Tell me what you think. And now with lava added! That is incredible. I'd like to see something a little smaller, something I could use in my dwarven style base. Smaller is definitely possible. What size space do you have available? Pretty, though it's missing something. Maybe add some glowstone? That looks really cool. Amazing job you've done. Well I had to change texture packs to one where the water was less opaque, but here it is with glowstone added in a few places. Not tonnes in my legit multiplayer world. I doubt I could fit a little 3x3 near the enterance. But I have yet to start construction of the storage room, so I could use it in there. I have all the room you could ever need, but smaller is better. I'm visualising it in the centre of the room. The room would probably be a square, with an even number of blocks along the wall, but I can make it an odd number. How much vertical space would you have available? 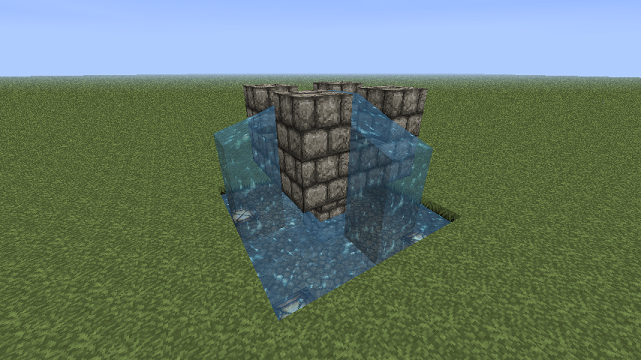 Had something similar a few months back, fountains are fun :smile.gif:. 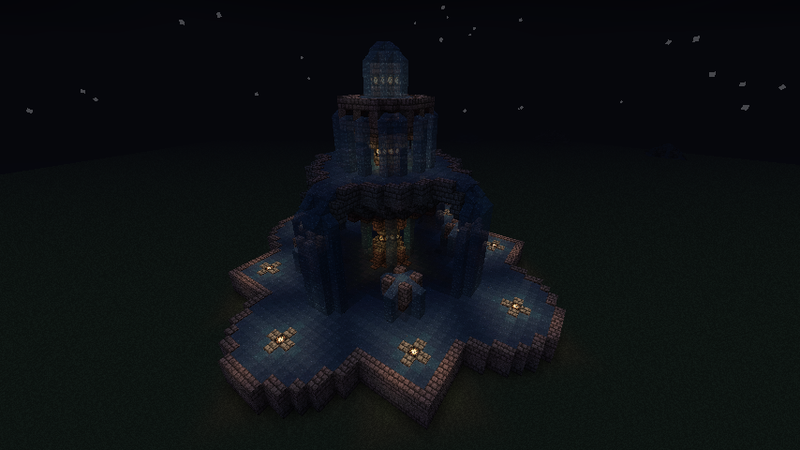 I've started building like this on my MP server. 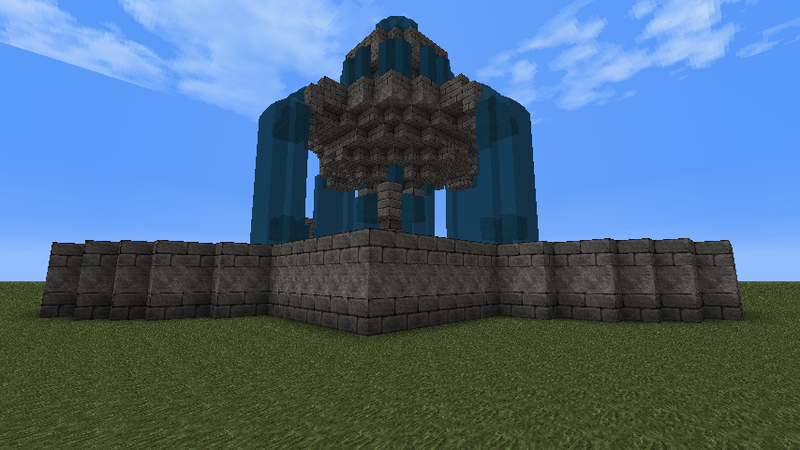 I used the base to start with, then I just sort of winged it, starting from the top. It actually looks quite nice. 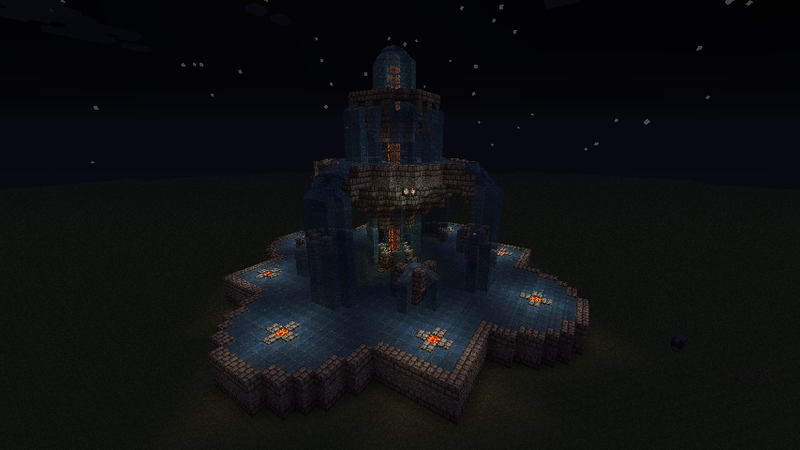 Although, I may have used to much glowstone. Oh well. I'll try to finish it tomorrow and post some pictures. Also, didn't realize how absolutely gigantic this thing is. Seriously, it's bigger than like 5 large Minecraft houses put together. About 5 blocks hopefully. But not really any limit. I just found the picture a bit big. And here are some smaller designs that I've been experimenting with that you might use. 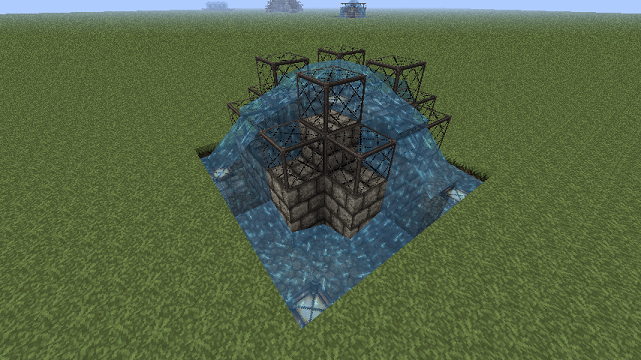 These will be easier with your legit server in that all the water in these designs come from a single source block. 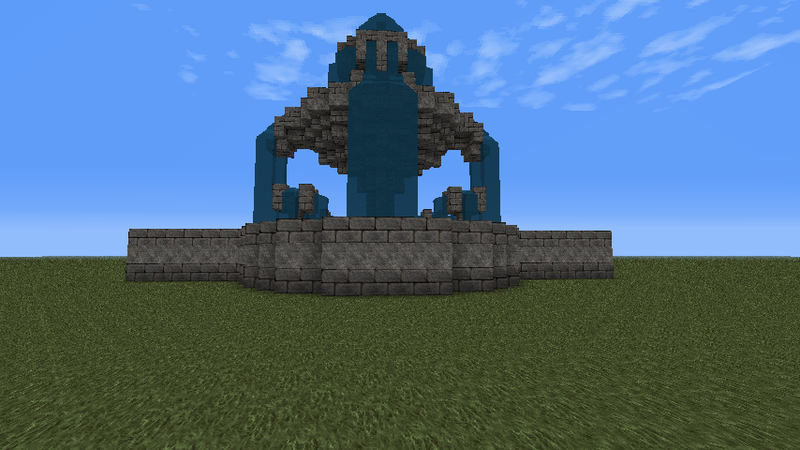 And for something quite a bit bigger, here's the cropped off top of the original fountain, with some small changes. You commented while I was making my previous response :smile.gif:. I'm glad you like it - imitation is the highest form of flattery. And yes, this is quite large. Not quite like 5 houses, but still big. 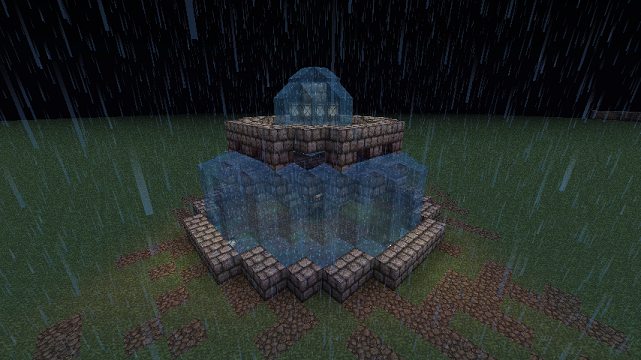 Including the water source block at the top, it is 43x43x28 blocks. I mean I found the one in the photo a bit big. I do like the last one, its perfect for my storage room. I'm changing the design of it. I don't know for sure if my friends will host often enough for me to start my storage room. I'm thinking about making a singleplayer legit world. Not sure yet though. Glad you liked them and that I could be of help. Cheers! I'm not even sure when I will start. My private multiplayer server that I'm gonna build it on isn't often up and I have only just started digging our main base. Know how that is. I have a WIP Villa (link in my sig) I've paused work on that I want to continue but don't know when I will. And I've got ideas for 2 massive projects that I have no idea when I'll get to or how long they'll take me (though in each case the answer is: forever). 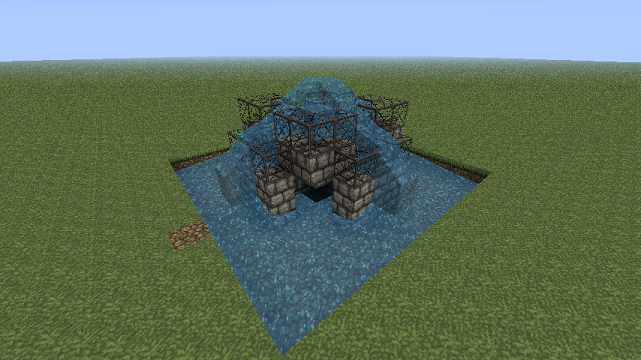 can you make one with liquid glowstone lava? As in the same fountain with lava in place of water? Cool. :laugh.gif: How is it lit? I hate Endermen. They grief.